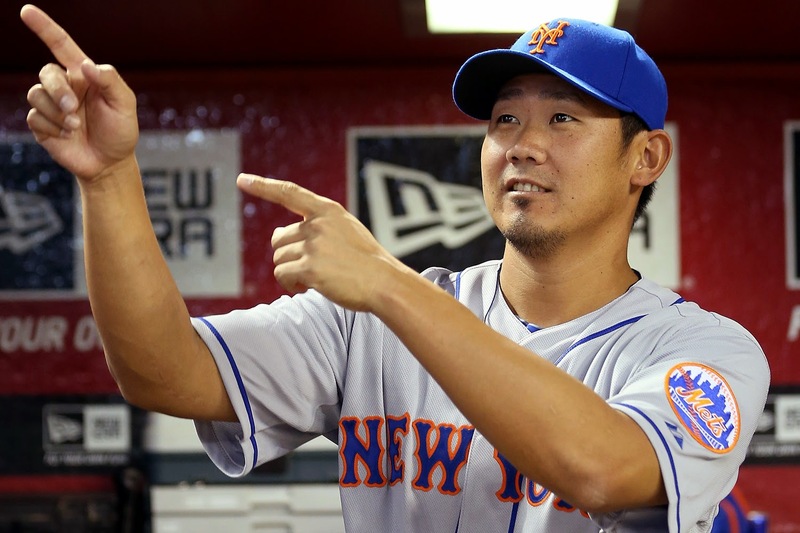 Daisuke Matsuzaka was born on September 13th, 1980 in Tokyo, Japan. The six foot right handed pitcher was a star pitcher in his native country before coming to America pitching in the major leagues. Matsuzaka soon became a star pitcher at Yokohama high school, a school known for baseball. He went on to lose the Championship game after throwing a wild pitch in the semi final round. The next year he led his school to victory & also led his team to victory in the Summer Koshien Tournament. Koshien is the largest amateur sporting event in Japan. Matsuzaka earned the attention of the souts when he threw a no hitter in the final game, after already tossing a shut out earlier. He was shown interest from a few MLB teams but chose the Seibu Lions of the Nippon Professional League, after the team's manager had dinner with him & gave him a ball he had earned on his 200th career win. Matsuzaka went on to a star career with Lions winning Gold Gloves in seven of eight seasons there. He led the league in strike outs four times, wins three times & ERA twice. He won the Rookie of the Year Award & made three best Nine Teams. In 2006 he was granted free agency & hired agent Scott Boras. He landed a $51 million dollar bid from the Boston Red Sox, for the right to negotiate with him beating out the Mets, Texas Rangers & AL New York club. After Boras caused some controversy on the term, he & Red Sox ownership closed a deal that brought Matsuzaka nearly $60 million. 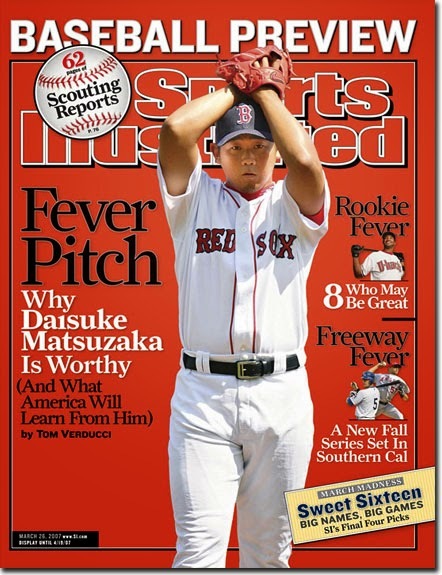 In 2007 Matsuzaka won 15 games (15-12) third most on the World Champion Red Sox staff (Josh Beckett 20 wins, Tim Wakefield 17 wins). He struck out 201 batters (6th in the AL) & posted a 4.40 ERA in 204 innings pitched.He came in fourth in the Rookie of the Year voting. Post Season: In the 2007 ALCS he took a Game #3 loss to the Indians at Cleveland but followed up with a Game #7 (11-2) Sox pennant clincher at Fenway Park. In the World Series against the Colorado Rockies, he was the Game #3 winning pitcher, allowing two runs on three hits in 5.1 innings of work. In that game he also got a base hit driving in two runs, becoming the first Sox pitcher to do that since 1918. The only two other Red Sox pitchers do drive in runs in a World Series were Cy Young & Babe Ruth. In 2008 Matsuzaka had his finest year, leading the Sox staff with 18 wins (4th in the AL) & a 2.90 ERA. His .857 winning % was second best in the league & he came in fourth in the Cy Young voting. His only problem were his walks, he had walked 80 the previous year & led the league with 94 in 2008. He started out the year at 8-0 not losing his first game until late June, after returning from the DL. After going to 11-2 on July 28th, he won his next seven decisions not losing again until September 28th, his final start of the year. 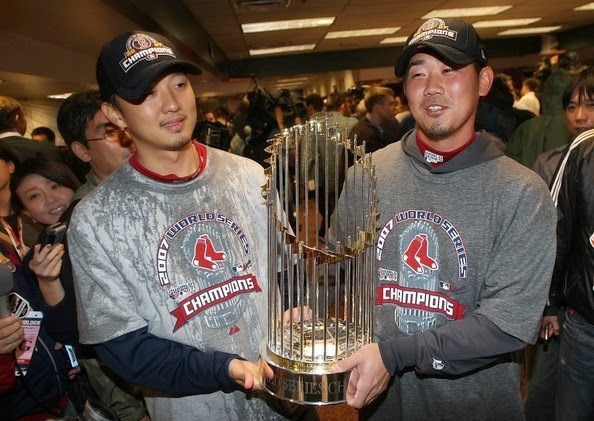 Post Season: The Red Sox went on to win all three post season games Matsuzaka pitched in 2008. He would only earn the victory in Game #1 of the ALCS as he shut out the Tampa Rays through seven strong innings. The Rays eventually won the Series & headed to their first World Series. In 2009 he chose to pitch in the World Baseball Classic for Japan where he went 2-0. The Red Sox were concerned about his pitching there but the issue was squashed. His 2009 season began to get hammered with injuries, he went 4-6 in just 12 games that year. The injuries were something that followed the next two seasons as well before he needed Tommy John surgery in 2011. He returned in 2012 but went 1-7 with an 8.28 ERA in just 11 games. Some believe the many innings of work in his early career have led to the injuries. He was granted free agency & signed with the Cleveland Indians. He never made it out of the minors & was released that August. He was then signed by the New York Mets & given a chance. 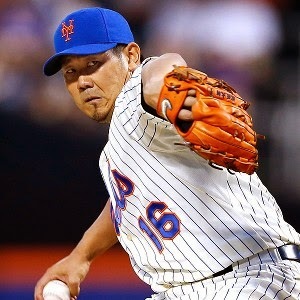 On August 23rd, Daisuke Matsuzaka made his Mets debut starting at Citi Field against the Detroit Tigers. He allowed five runs on six hits in five innings taking a loss. In his next start he gave up four runs in 4.1 innings taking a loss to the Philadelphia Phillies. His third start was another debacle, allowing six runs over three innings, falling to 0-3 with a 10.95 ERA by early September. But from there on he settled in, winning his final three starts of the season. On September 14th, he allowed just one run in seven innings beating the Miami Marlins. On September 25th, he took a shut out into the 8th inning, striking out six at Cincinnati, beating the Reds in his best outing of the year. He ended the season at 3-3 with a 4.42 ERA. 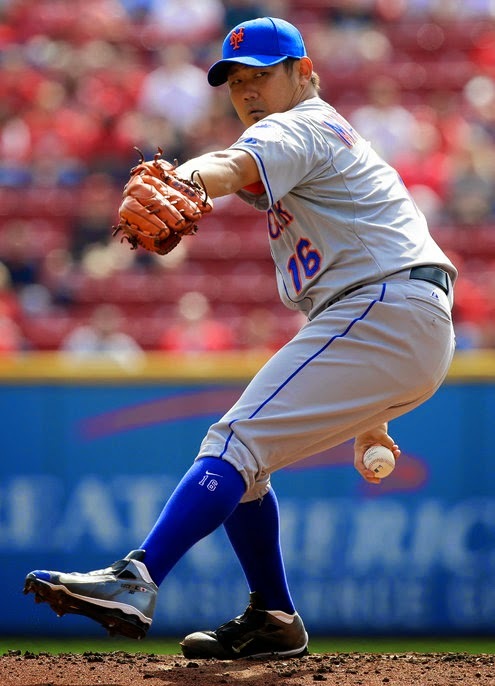 In 2014 it was determined Matsuzaka would pitch out of the Mets bullpen, especially in long relief. On April 24th he recorded his first Mets save, pitching a scoreless 9th against the St. Louis Cardinals. In six appearances in April he had posted a 1.17 ERA in seven innings. He had a busy May,first earning a win in the subway series across town in the Bronx against the AL New York club, pitching 3.2 innings allowing just one run. He earned another victory when he made his first start of 2014, pitching six innings in a 4-2 over the Arizona D-backs. By June he was back in the starting rotation, on June 10th he allowed one run is six innings at Citi Field, beating the Milwaukee Brewers inn a 6-2 game. On June 20th he went through a stretch that gave him three straight losses, in that stretch he allowed 11 earned runs in 15 innings of work. On July 25th, 2014, he was placed on the disabled list with inflammation in his pitching elbow. On the season he was 3-3 with a 3.87 ERA, 71 strike outs & 44 walks in 28 games (9 starts). In October he was granted free agency & eventually signed back to play in Japan eight years after he left. In his career he is 56-43 with 713 strike outs & 381 walks in 781 innings pitched. He has made 132 starts pitching in 152 games. Personal: Daisuke is married to television journalist Tomoyo Shibata & they have two children. Trivia: He is nicknamed Dice-K in America & the Monster of the Heisei Era in Japan. After the 2011 Japan tsunami he & the Red Sox foundation donated $1 million to the Japanese Red Cross.